For cleaning up metalwork. Use 60 grit for rough work and polish up with 240 grit. 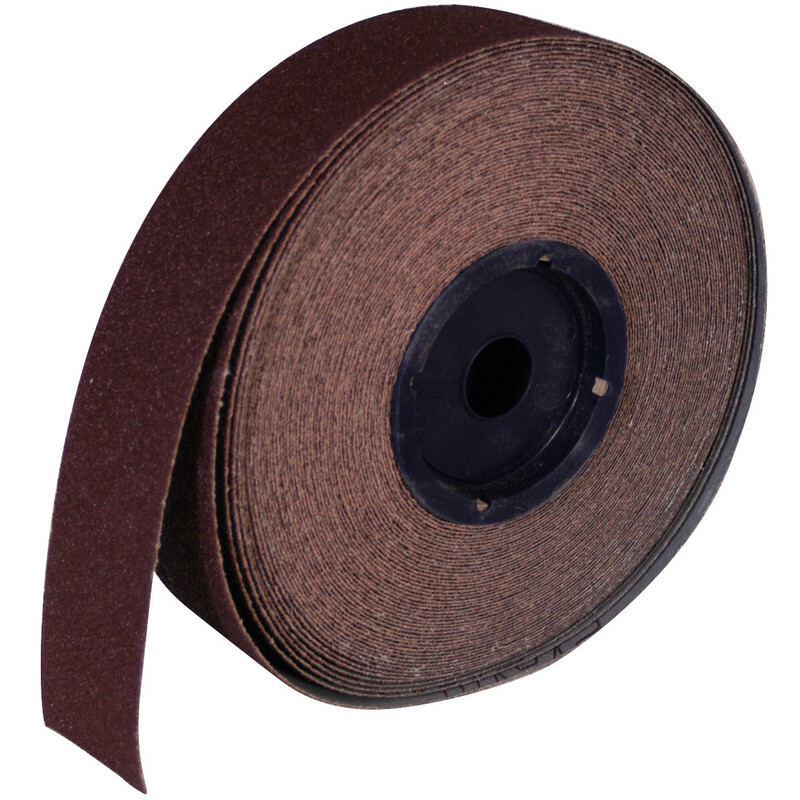 Emery Cloth Roll 25mm x 50m 80 Grit is rated 4.5 out of 5 by 13. Rated 5 out of 5 by Moneysaver from Good backing Very good cloth backing lasts a fair while. 120 grit is coarse for metal work, but ideal for wood and general decoration prep. Bought this to up cycle an old school chair which had nooks and crannies, and many curved surfaces. Worked a treat. Rated 5 out of 5 by RajK from Good value and cheaper than Ebay Restoring a car, so perfect to use to get to bare metal. Rated 5 out of 5 by Satisfied from Emery Cloth Hey, this emery cloth, almost a necessity. Rated 5 out of 5 by Nonbby 1949 from Great value Product I bought 2 rolls and the delivery was the following day. A great value product and, as usual, Toolstation delivers rapidly ! Rated 5 out of 5 by Anonymous from emery cloth Ideal for job that needs doing ,roll has plenty on it.